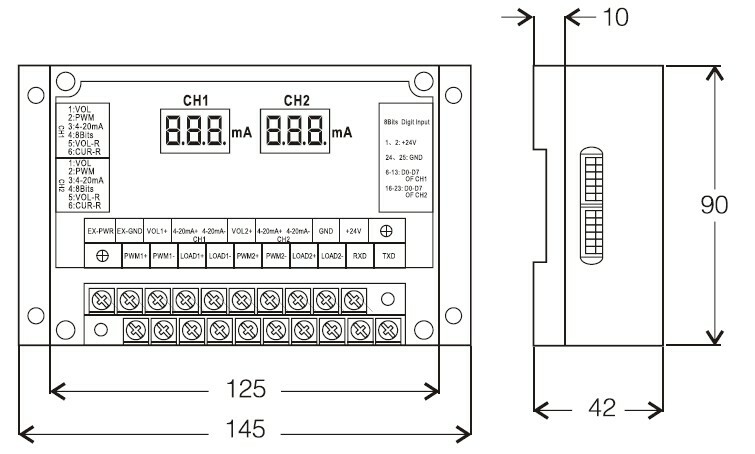 ICS provides constant current power supply under a combination of a variety of signal inputs. It has one independent input and output port. Two ways of current values, showed by LED display, can be switched each other through external signal. There are two models ICS-500 (Maximum output current 500 mA) and ICS-2000 (Maximum output current 2A). 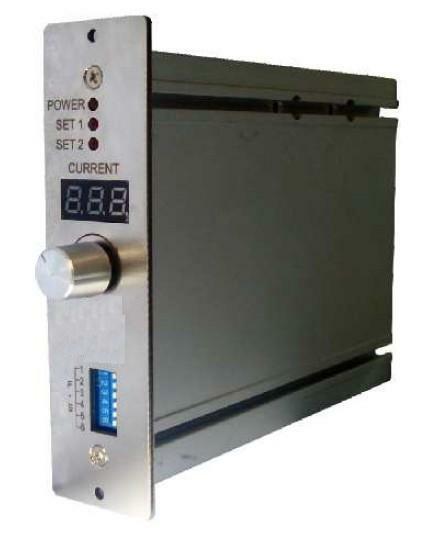 It provides constant current power supply under a combination of a variety of signal inputs. It has two independent input and output ports, showed by LED display.